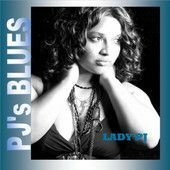 Description: Lady PJ is a rising star in the making. This Artist, Singer, Songwriter, and Poet lets her light shine through her music; which is graceful, elegant, poetic, and soothing to the listening ear. Allow this R&B/Neo-soul Artist to captivate you. "I learned pretty early in life that good and bad must coexist; for without one there would be no other. Because one without the other would lead to a constant state of neutrality where nothing changes. Who wants that? With this logic I learned that you have to be able to accept them both as a normal reality of life. We all have experienced our share of bad times but have you ever just thought that no matter how hard things get if you could have that one precious moment that would carry you through the rest of your life with joy and happiness; would it not be worth it? That's what gets me through to the other side; I'm looking for that moment. I really believe that I'll get there one day."